Something we are finding we are getting asked pretty frequently along with the ‘Why are You Doing This?’ (trip around Oz) question is, ‘Why Camping?’ Lots of people are just not sure what the attraction is of sleeping and eating outdoors with bugs, snakes, spiders, lizards and all kinds of other creepy crawlies, not to mention the gear and packing that is often involved. Camping and 4wding for us has been a bit of a journey and something that is still evolving I think. Matt camped a little with his family when he was growing up as well as some time in Scouts as a boy, so he had completed ‘Camping 101’! My early camping experiences were pretty much limited to growing up on a farm (much like camping full time I think! ), school camps and a brief stint with Girl Guides. Our first camping trip away together was when we were about 21 and still in the ‘courting’ phase of life. Matt won a tent through work and decided a great ‘date’ would be to take me away camping for the night as something different. It was a bit of a disaster – we couldn’t find the campground and ended up getting there just before dark, we couldn’t put the tent up properly and Matt totally forgot that to go camping we needed more than just a tent and one towel between us! 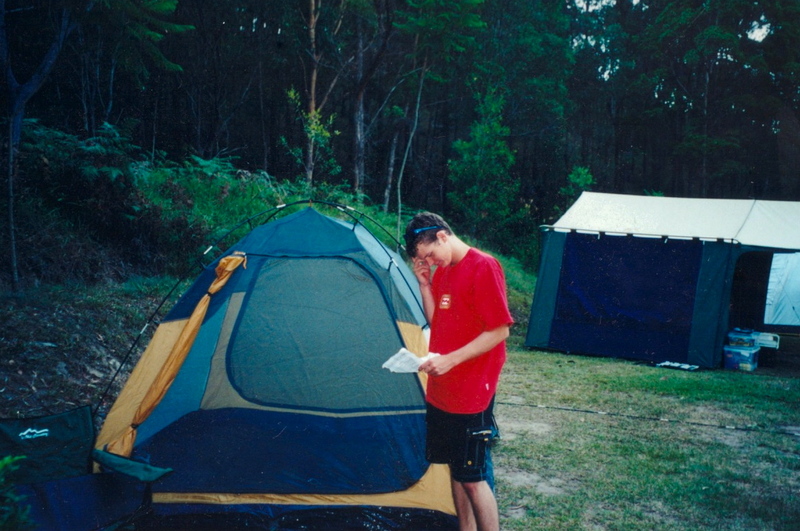 First Camping Trip Together – reading the instructions to work out how to get the tent up! But despite all that, we enjoyed ourselves and went camping again. We got excited about the idea of having an adventure, an experience seeing somewhere new, doing something fun and healthy and outdoorsy rather then spending the weekend at the Pub or sitting at home watching DVD’s (they are movies kids – you probably won’t have them by the time you are reading this!). 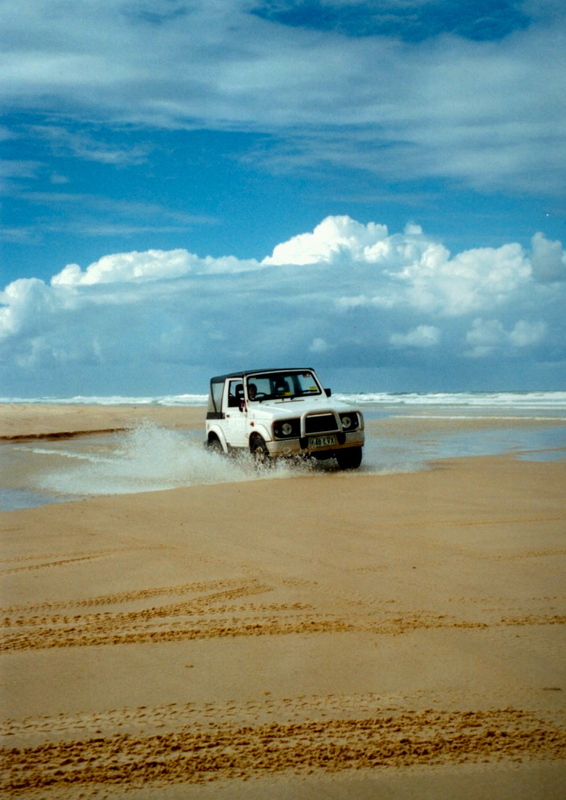 It was a bit of an adrenalin rush navigating our way around Fraser Island, driving through wash outs and over sand dunes, seeing things and places that not everybody could get to. 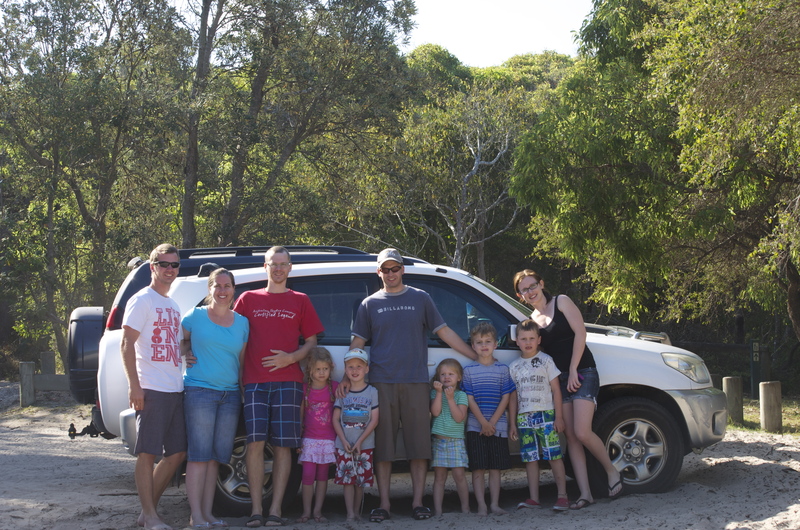 A bit of fun and adventure on Fraser Island! 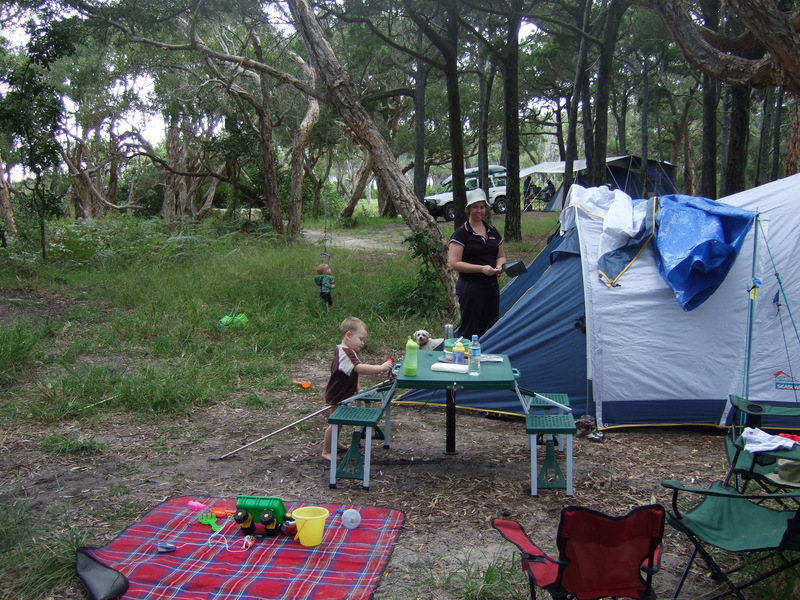 Then we got married and had kids and realised that camping would be the only affordable way to go on holidays on one income with children in tow. 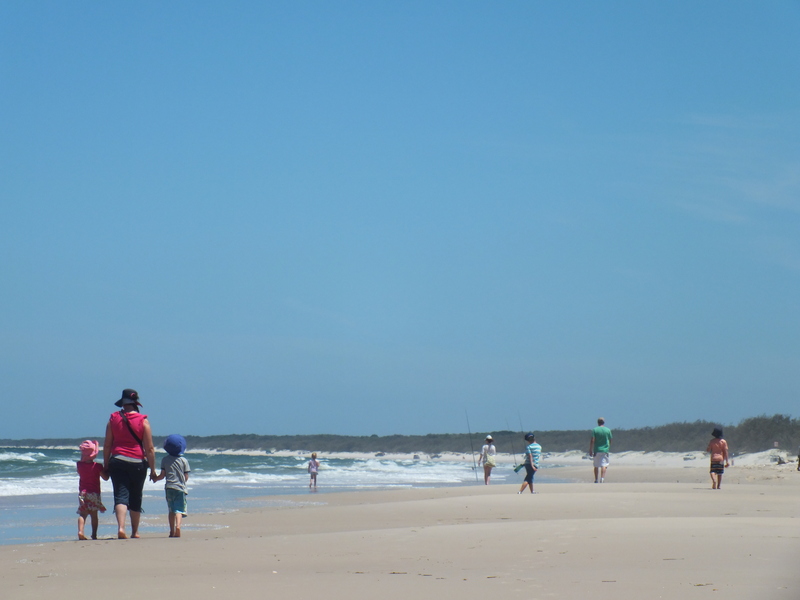 Not only that, the outdoors provided hours of free entertainment for the kids playing with sticks, in the sand, water and dirt, spotting all sorts of wildlife and running around half naked most of the time. The kids were happy which meant happy Mum & Dad! 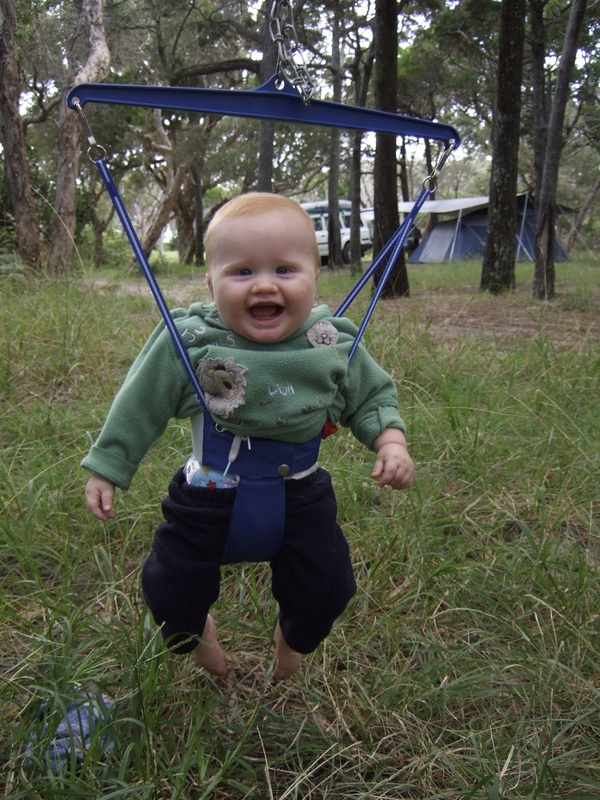 Toby – 7mths – pretty happy with his first camping experience! 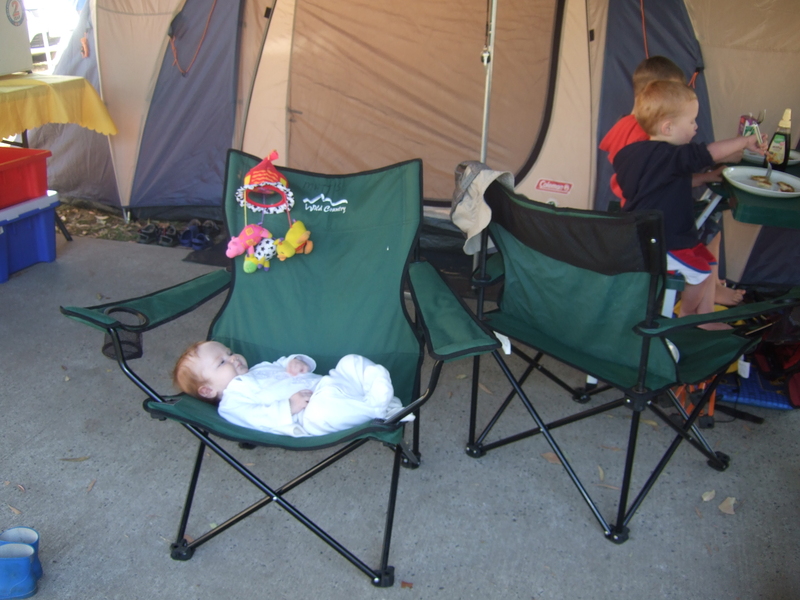 Not much for kids not to like about camping! Since we have had our family though, we have started to think about our choices in life a bit more. As our family has grown and time and money has become more precious, we realised that we needed a common interest that all of us – girls, boys, old and young, could enjoy. Something that would be a joint interest for Matt and I to share now, that would see us into our retirement and old age – something we could enjoy together long after we no longer had the kids (they will all leave home one day right!) to occupy our conversations, plans, thoughts and wages!!! We weren’t into car racing, our kids didn’t know all the names of the rugby players by the time they could talk, playing back yard cricket didn’t qualify us as a ‘cricketing’ family, we didn’t know anything about fishing so that was out – I was starting to freak out a bit – what was going to be our family ‘thing’??? Matt thought music festivals could be it, but my Keith Urban tastes and his liking for bands such as Metallica – didn’t see our genres come up on music festivals together very often, plus it was expensive! So, back to the drawing board. Slowly though, we realised that camping was becoming our ‘thing’. 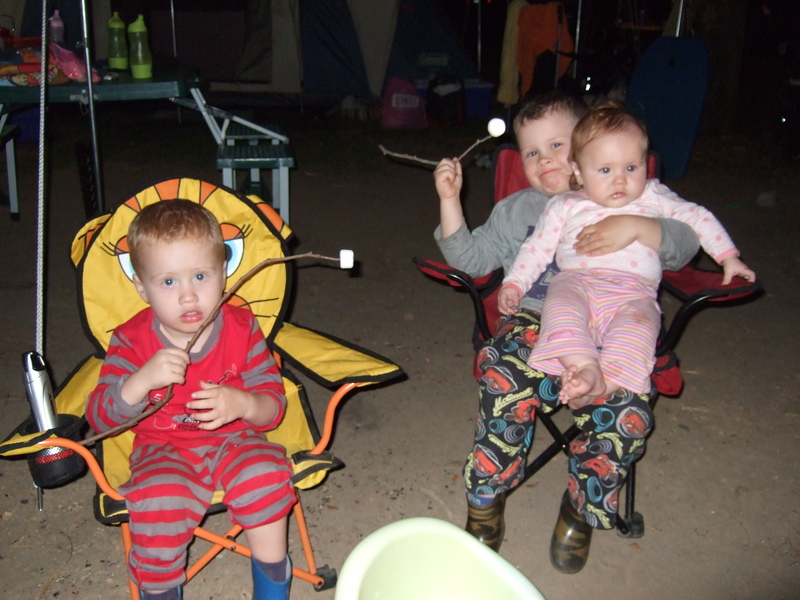 The kids all knew how to hold a tent pole by the time they could stand up on their own, they could roll their own sleeping bags no problems and they could toast a mean marshmallow! Camping has become a shared interest and bond for us all. We love planning together where we will go camping next and talking about what we will do when we get there. We can see that this is an activity we can develop and nurture for the future. We look forward to the kids bringing their friends camping, then their girlfriends/boyfriends, then their wives, then their families and so forth, hopefully the cycle may continue down through the generations of our family and help to keep Matt and I involved in our kids and grandkids lives well into our wheel chair days! This is important to us because we think it helps create an identity for our family. To help give our kids confidence that they belong to something greater than themselves. To heighten their self-esteem as they learn new skills – even just simple things like working out how to use the UHF radio on their own, lighting a campfire safely, making their first trip to the toilet in the dark, on their own in the middle of the night successfully, all aid in building our kids self confidence and belief in themselves. 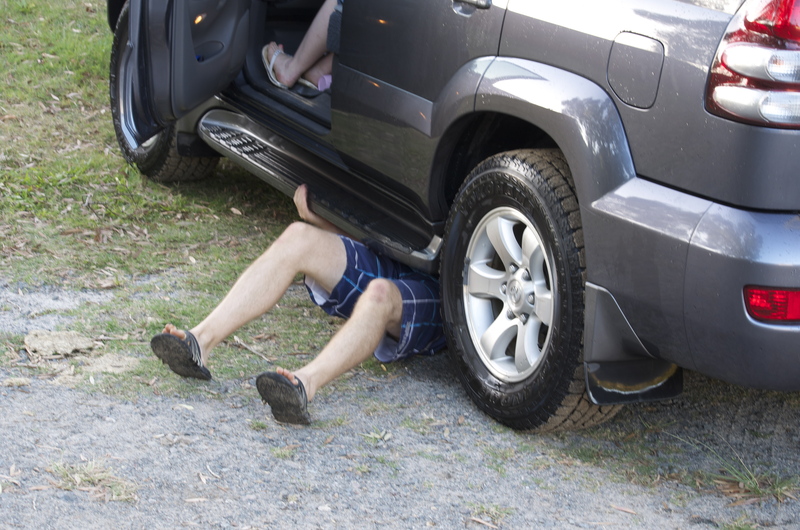 It is also a way for Matt and I to learn new things – how to tow and reverse a camper van without arguing (that one’s still a work in progress! ), Matt is teaching himself more and more about the mechanics of 4wd’s and some basic repair skills, and I am slowly building my camp fire cooking recipe base. It is always fun and rewarding to challenge yourself and learn something new no matter what your age! A new skill for Matt – zip tying a fuel line back up after some 4wding! We often go camping with friends and family, or meet new people while we are away, who then become friends. This is significant for us as we want to surround our family with like minded people, people that can prove to be role models and mentors in the future when our kids start to look outside the immediate family (aka when Dad’s word is no longer the authority on all things!) for guidance. We want to make sure that when they do that – the people they are connecting with have the sort of values and morals that we would like to see imparted to our children – that they will support most of the things we have spent the last decade drumming into our kids. 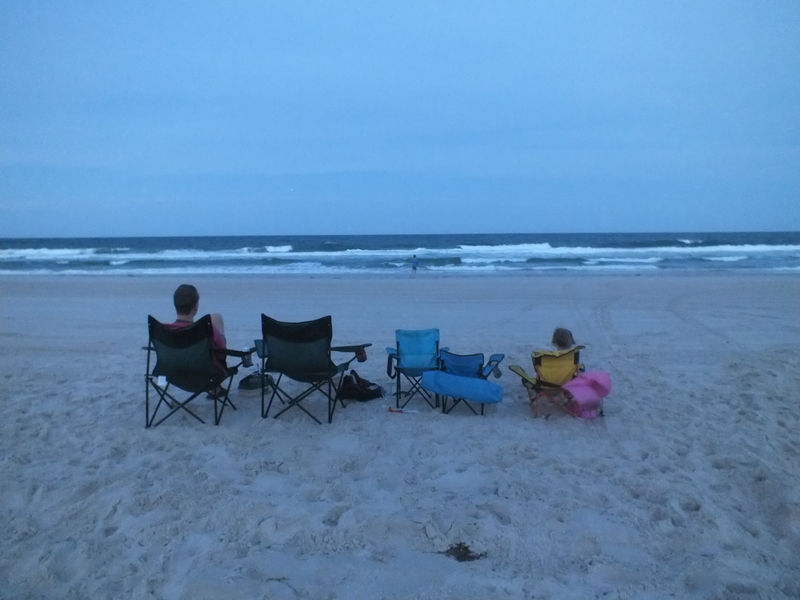 Another ‘side effect’ of camping is that it has become a way to keep all of the extended family close, another way to ensure our kids know they ‘belong’ and are loved. I lived on a dairy farm when I was growing up and most school holidays would see all of my cousins descending on the farm for at least a couple of weeks spending hours roaming the paddocks, exploring the creeks, swimming, fighting and eating everything Mum would cook up in the kitchen for us! When my parents moved off the farm a couple of years ago they were worried about whether our extended family ‘bonds’ would weaken without the farm for us all to go to – it is a bit difficult to fit 10 or more adults, and twelve or more kids all together in just your regular suburban home/block! 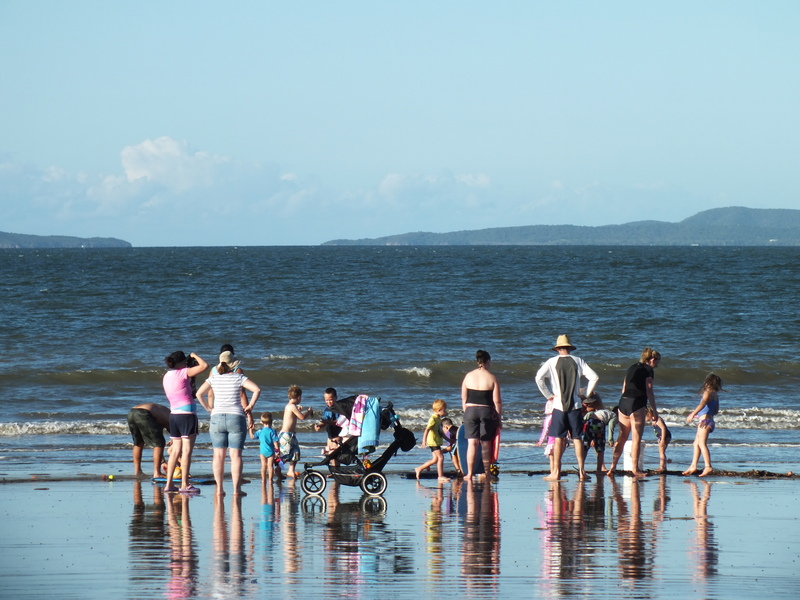 However, camping trips such as our Easters at Emu Park have enabled the extended family (sisters, cousins, aunts/uncles, grandparents, and all the attached kids!) to still get together, for Dad to still growl at us all, to tell the stories from our childhoods, to still argue, and to try to pass on the family fishing and guitar talents to the younger generation. We have established a new tradition which until we win Gold Lotto and buy our own Island or Station or something – will have to work! Some family’s are into cars and never miss the Bathurst weekend, some family’s know all the names of all the great football players, all the statistics and never miss a Saturday night game during the season, and some family’s go to Church every Sunday. We are a camping and 4wding family. What kind of family are you?